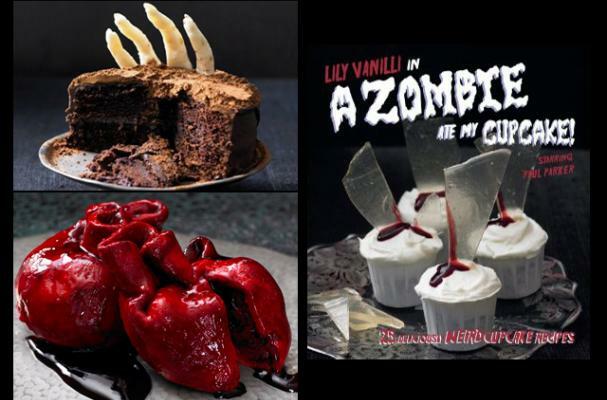 Lily Vanilli (aka Lily Jones), founder of the up and coming Lily Vanilli Bakery in London and "baker to the stars" has published a creeptacular Halloween cookbook of zombified cupcake recipes: A Zombie Ate My Cupcake: 25 Deliciously Weird Cupcake Recipes! 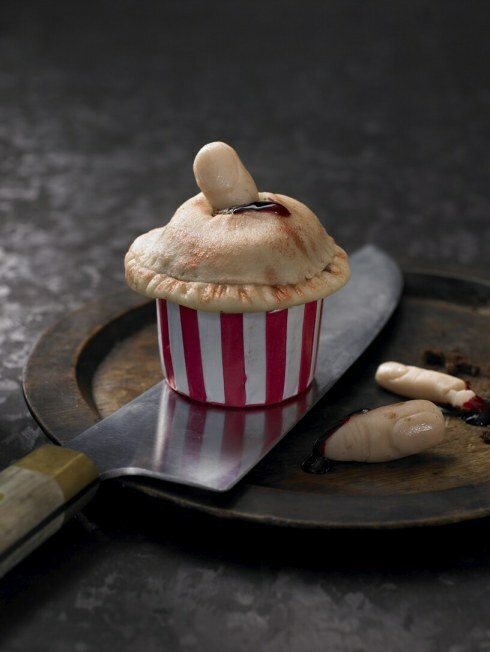 This collection of seriously creepy cupcakes will make for haunting memories at your Haloween haunted house, zombified birthday party or ghoulis get together. From the Human Heart Cake (complete with edible blood!) 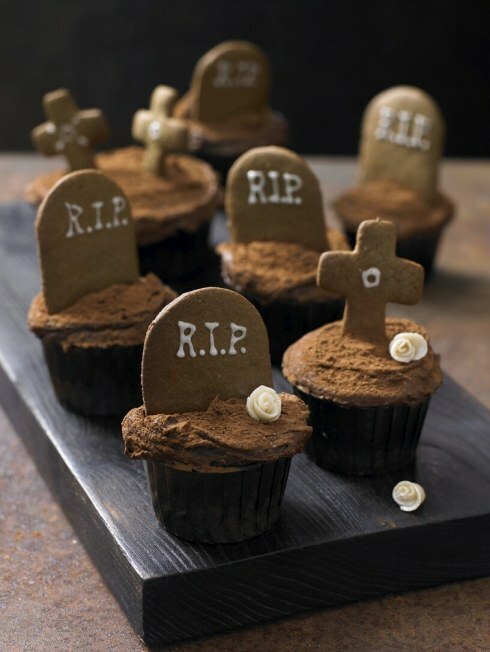 to the original Glass Shard Cupcake, Gingerbread Gravestones and more! 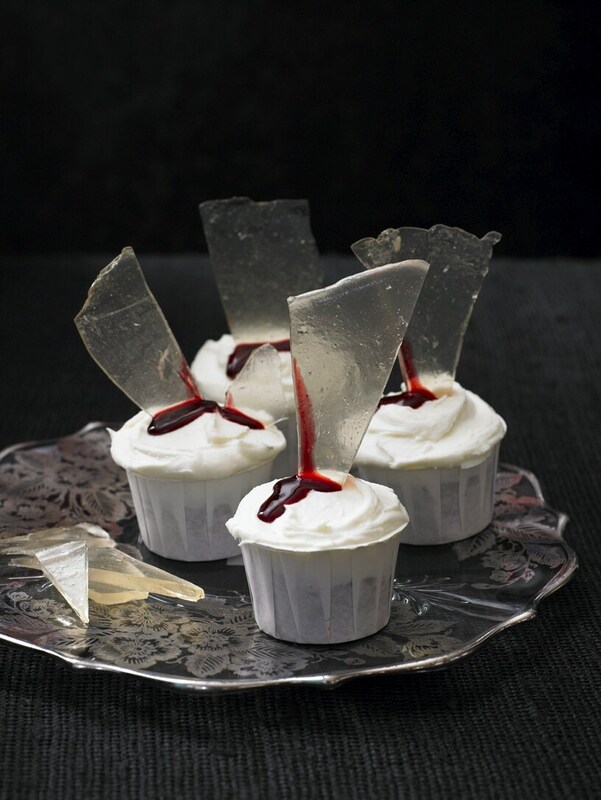 Your next spooky soiree just will not be complete with a few of Lily's terrifying treats! Almost all of the recipes are super easy to adapt to be gluten free -- with a few exceptions, just substitute your favorite baking mix or all-purpose flour blend and you're good to go! Check out Lily's website or buy her book on Amazon.com! More photos of Lily's Terrifying Treats!